Method Scouting is the early assessment of potential test methods conducted during the early stages of product development, when there is limited knowledge of the types of analytical procedures that may be applicable to the product. Method Scouting involves a series of “rough and ready” experiments that are designed to determine whether a method is applicable to a test article. 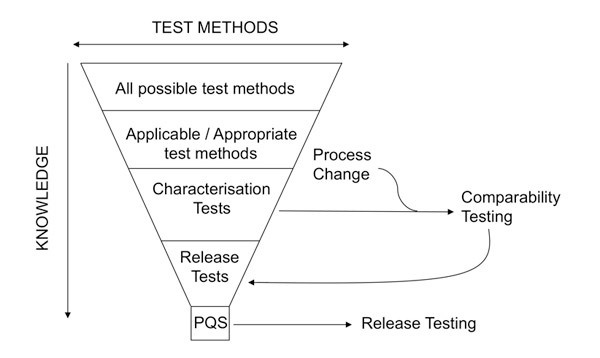 Scouting experiments can form part of the method development phase, and are always performed prior to method optimisation and validation as the data obtained plays an important part in the development of subsequent validation ranges and criteria. Robust, well documented method scouting is vital in writing Pharmaceutical Development sections of the dossier. WBR has expertise and experience in a wide range of analytical methods and product types to help and advise clients on procedures and techniques available throughout the development and registration stages of a product. We can provide expert guidance and consultation in order to develop methods that can be validated and documented in eCTD.